This site featured the building of a battle robot named Logan. 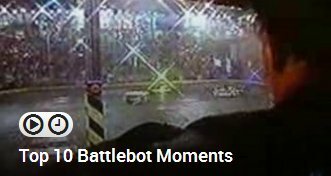 Due to funding problems and the fact that Battlebots is no longer taking place, the bot was never quite finished. Construction began in May of 2001. Logan would have been a super-heavyweight combat robot (325-350 pounds) and was to feature many novel design innovations. The hope was to enter Logan into his first robotics competition with Xtreme Fighting Machines, a tournament hosted in New England, but that event never took place. Then Logan hoped to make his national debut on Comedy Central's BattleBots. Rather than take the site down, we have made a few modifications and left up photos of our design and bot construction, as well as our tips for building a battle robot. Interest in robot building and school science fair projects continue to keep the fun alive.